We are thrilled to invite you to the 15th Annual Games For Change Festival which will take place from June 28 - 30. 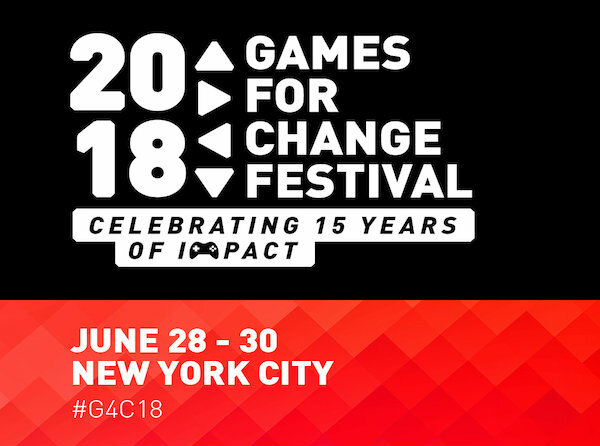 This will be the most exciting Festival yet, as G4C will celebrate the past 15 years of groundbreaking work from the games for impact community, while exploring the cutting-edge developments that continue to push social impact games into the future. As part of our celebration, we are taking submissions for artifacts collected by Festival attendees over the years. During the 2018 Festival, attendees will have the opportunity to create a pop-up exhibit that will showcase these items and their significance in G4C's history. Shipping information will be provided after completion of this form. Which Festival year is the item from? Please upload any images or associated materials you may have of the item.